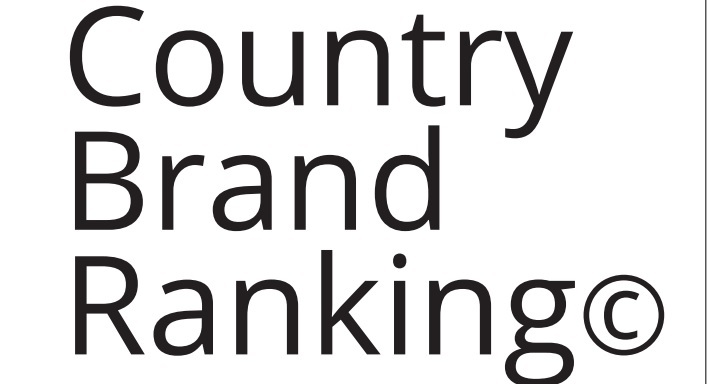 Country Brand Rankings – What’s the Point? Are country brand rankings good (useful) or bad (unhelpful at best) – and how credible are they anyway? In early 2015, those questions seem more relevant than ever. Just before the festive season, Madrid-based Bloom Consulting published their Country Brand Ranking 2014/2015 tourism edition. Despite the innovative methodology taking into account a country’s destination branding strategic performance and promotional social media presence, the ranking itself (USA first spot, Spain second) raises questions about the extent to which it represents realities within those countries. What makes a place is its citizens, not a top position on ranking X, Y, or Z. The strength of place reputation due to the publication of these rankings is also questionable. The main point of criticism is that these measurement tables, even with effective clarification of their methodology, are not exhaustive. This is because they do not inform on the ultimate effect of place branding on local or regional economic development. Indeed, rankings such as the FutureBrand Country Brand Index, the Anholt-GfK Roper City Brands Index, the above mentioned Bloom Consulting Country Brand Ranking for Trade (Investment) and Tourism, or the Saffron European City Brand Barometer offer a snapshot, whereas the reputation of a country or city is built over time and influenced by a myriad of factors. Take Spain for example. How does 2nd spot on a country brand ranking fit to a country plagued like few others in the European Union with unresolved unemployment, corrupt political elites and a juridical system under the spell of political influences? In the same vein – and as Eduardo pointed out back in April – isn’t it awkward to find the USA again on top spot of the ranking, despite it being one of the only Western nations that still executes its citizens? In Bloom’s defense, such data wasn’t taken into account, and neither were people’s perceptions: only “hard facts” were used for the ranking, such as a country’s total tourism receipts and revenues, the economic impact of tourism within a country, the effectiveness of a country’s destination branding strategy, together with online demand (amount of searches). In as such, a better title for the report would have been Destination Branding Performance Index. Perhaps the most important point here is that place brand rankings present much useful information for place promoters and marketers, but can be confusing for the general public, especially if media coverage or direct experience of a specific country doesn’t match its position in the ranking. Bloom’s ranking in particular provides national tourism organizations with detailed guidance regarding their current performance and the steps they need to take to improve their brand positioning. From a general public’s perspective, such rankings can constitute false promises, which can lead to disappointment. Either way, place branders and promoters need to keep their branding strategy and campaigns as close to a place’s reality as possible to avoid the negative consequences of credibility loss. Did you find this post on country brand rankings useful? Share and spread the word!